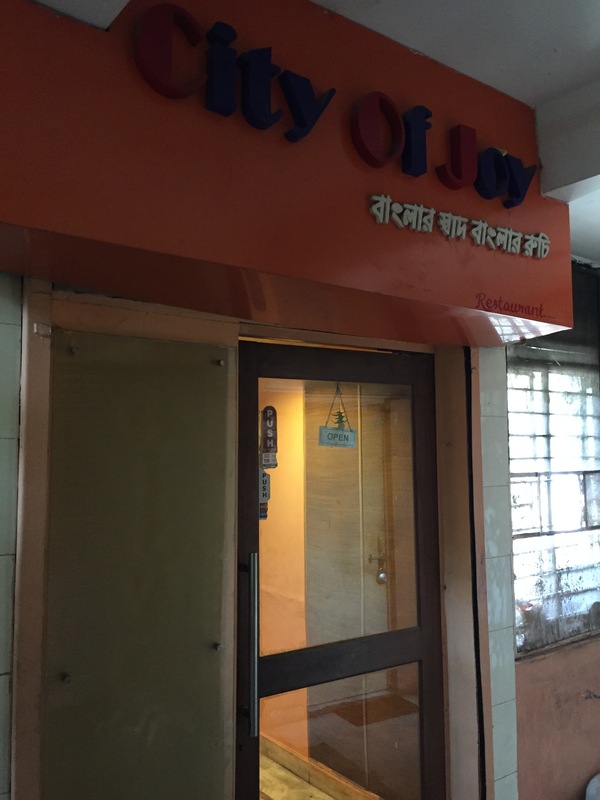 A nicely decorated, medium sized restaurant serving YUMM food from the City of Joy. This restaurant is situated on the first floor of the market building. However, a very smart branding has been done covering the full wall of first floor. 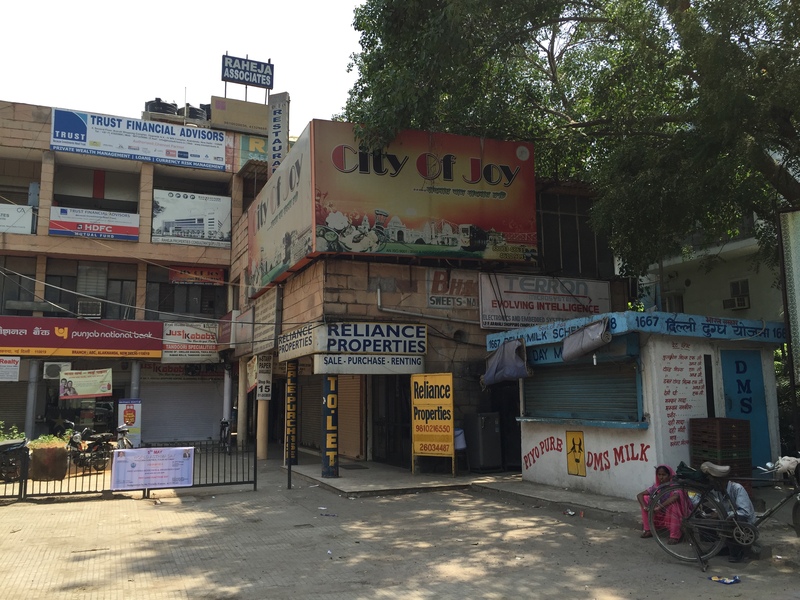 With that branding, the restaurant looks like a huge double storied from outside but is actually only first floor. 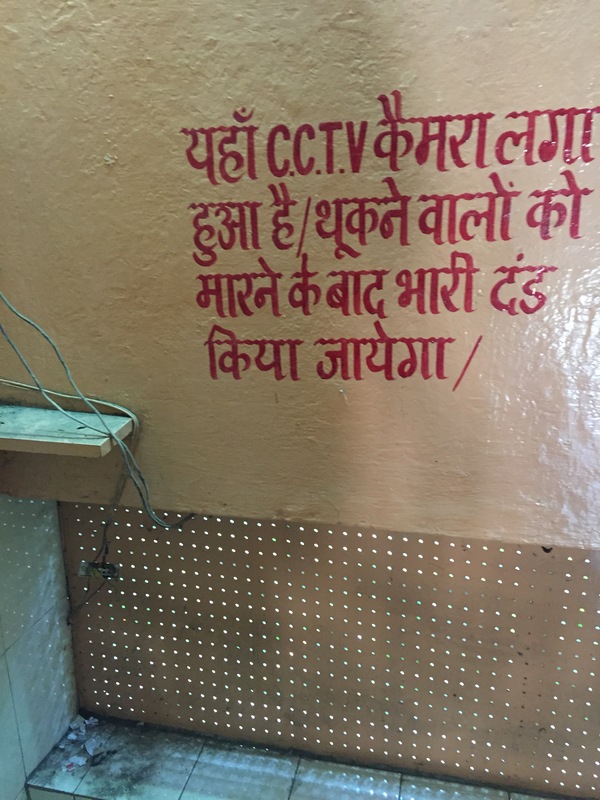 As we started walking up, we noticed a very funny ‘ swachh bharat’ message in the staircase. 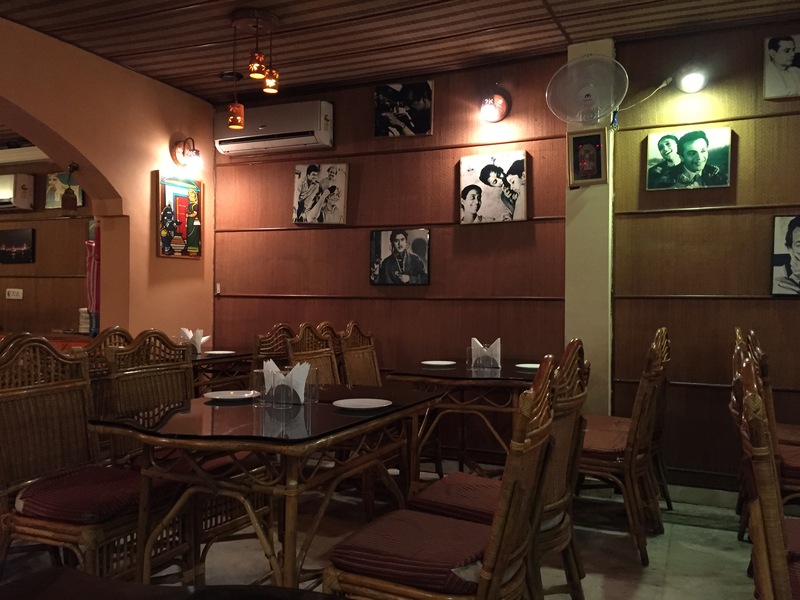 Entrance to the restaurant was thru a narrow alley that had photos of famous Bengali movie scenes. Once inside, it was a nice, well decorated dining hall. 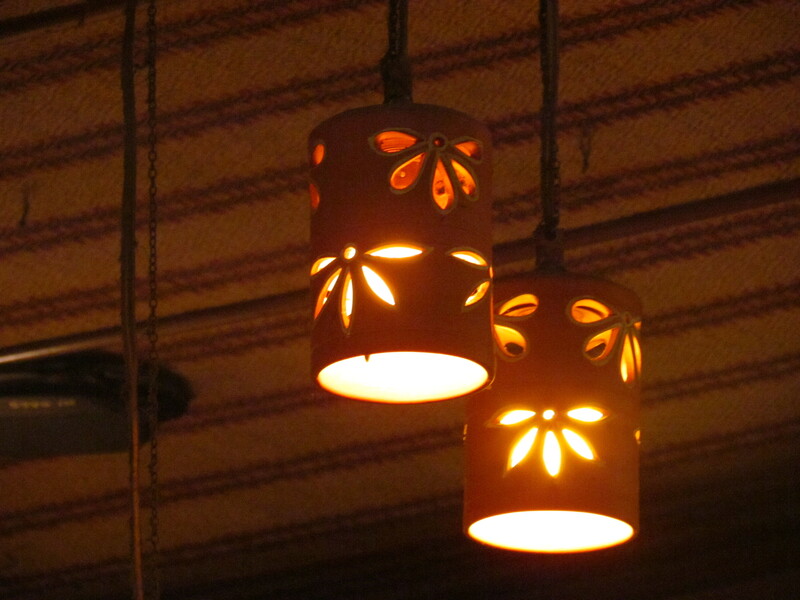 Loved the cane furniture and the burnt clay lampshades. 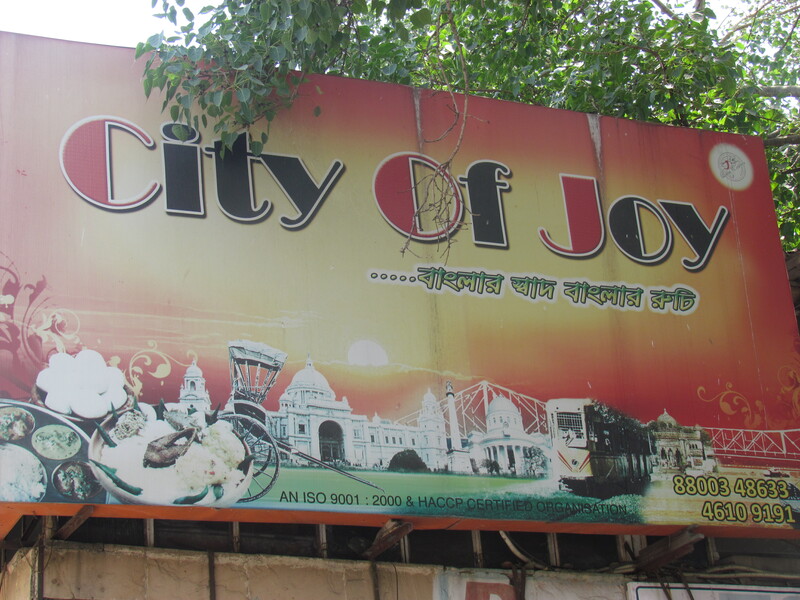 It was great to see the re-printed old pictures of Kolkata on the walls. 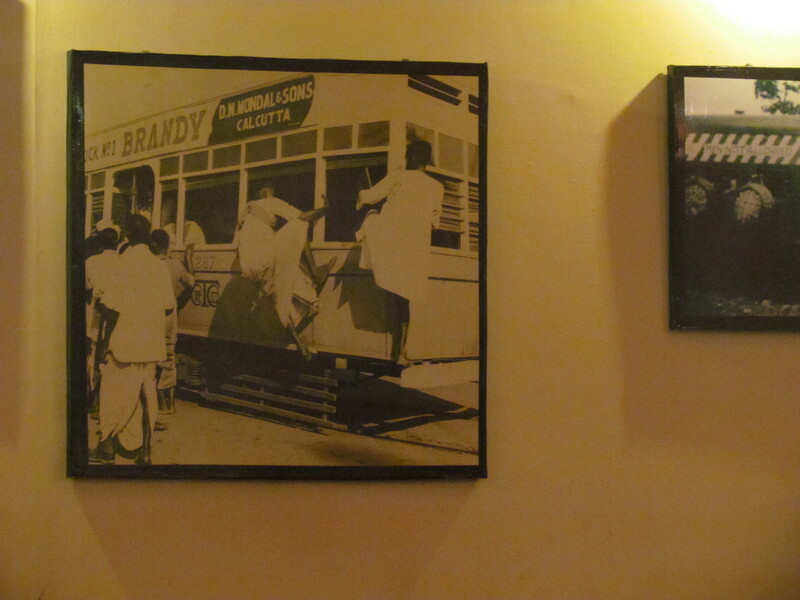 Those with interest in history or photography can spend some time seeing those e.g a Calcutta tramways tram with an advertisement of Brandy!!!! The Menu card was a 2 pager with loads of options. Not everything on the menu was available. For people not used to the cuisine the menu card is not very helpful as it just lists the name of dishes but has no description. The staff members were excellent. The guy serving us took very good care of us and fed us like his own guest. Food in general was very good. 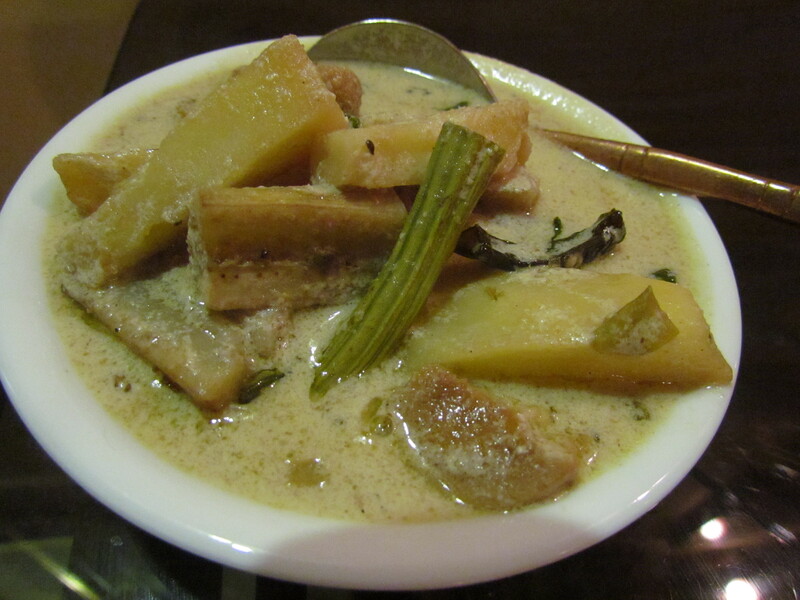 It was like the food cooked by thakurs (Professional Bengali cuisine chefs). 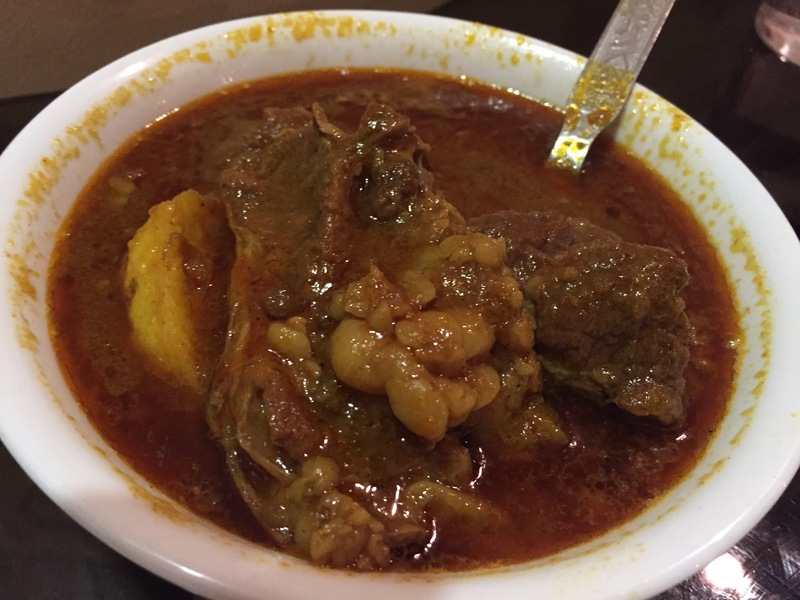 This food is slightly different (more oil, more spicy at times) than food cooked at home but directionally the same. 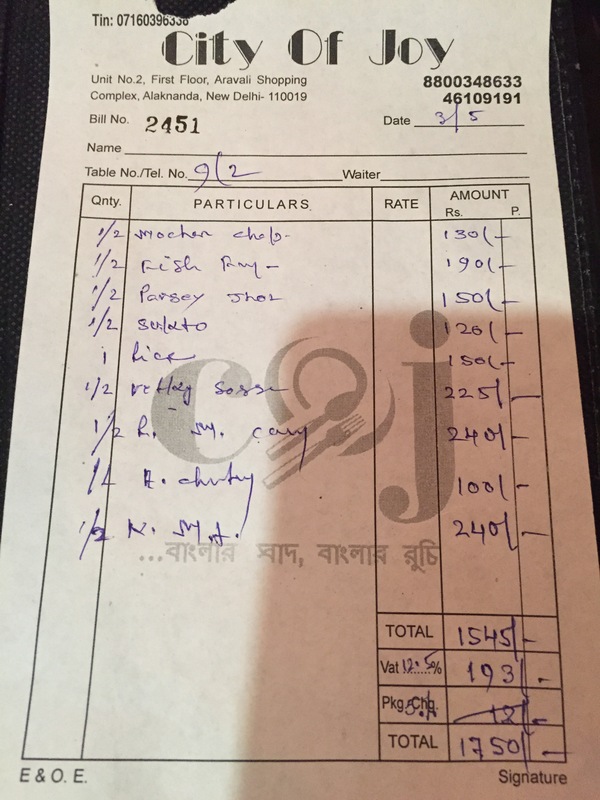 U still get this food in the lunch menu (for family members) of Bengali marriages in Kolkata. Evening menu (for all guests) in marriages has long back incorporated North Indian dishes as well. We started our lunch with mochar chop. 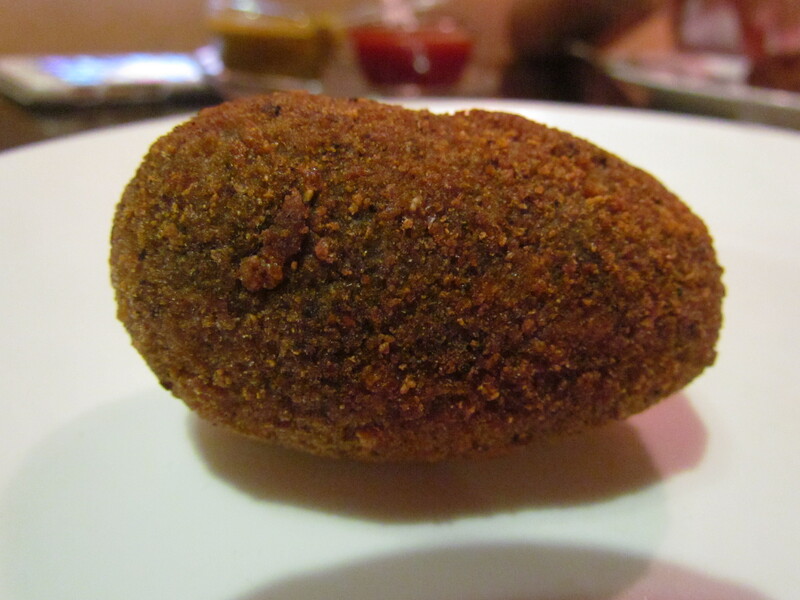 This is a crumb fried chop made of banana flower (b4 becoming fruit the banana was once a flower:). That fower is eaten). 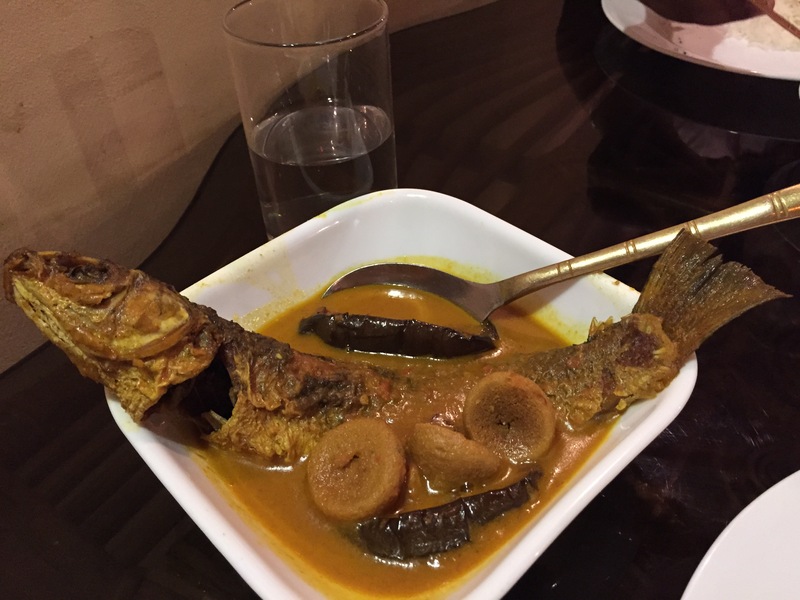 The next dish we had was Fish diamond fry. It was a fish cutlet (almost) shaped like diamond in playing cards. The outer layer was not crumb fried like the usual fish cutlet. It was coated of course. The coating was a bit dry & did not add value to the fish within. It was not crispy & not soft either. It was good though. Rate the coating 3/5. For main course we ordered Shukto. 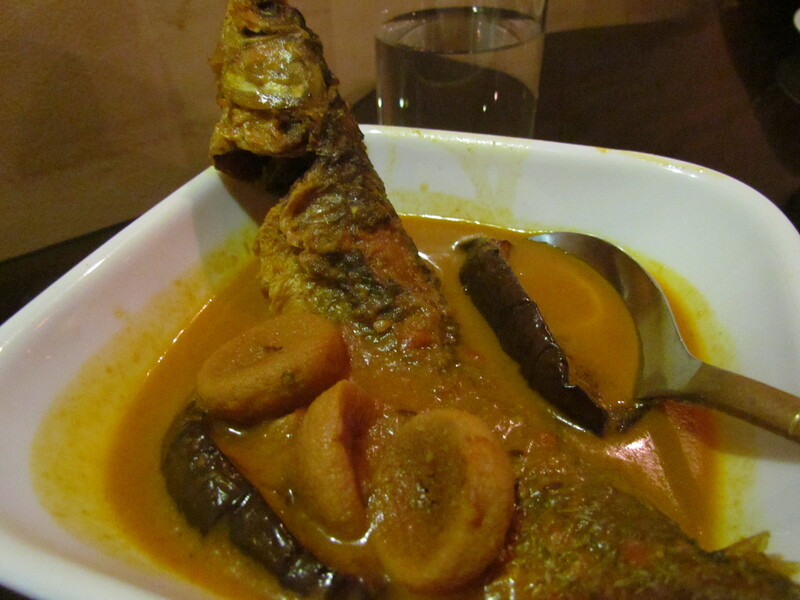 For the uninitiated, this is a mixed vegetable curry with one bitter vegetable (like karela) added to it. The shukto had a strong flavour of mustard. The gravy was thick. Size of the veggies were perfect & that ensured perfect texture. Excellent balance of taste. Great to taste. 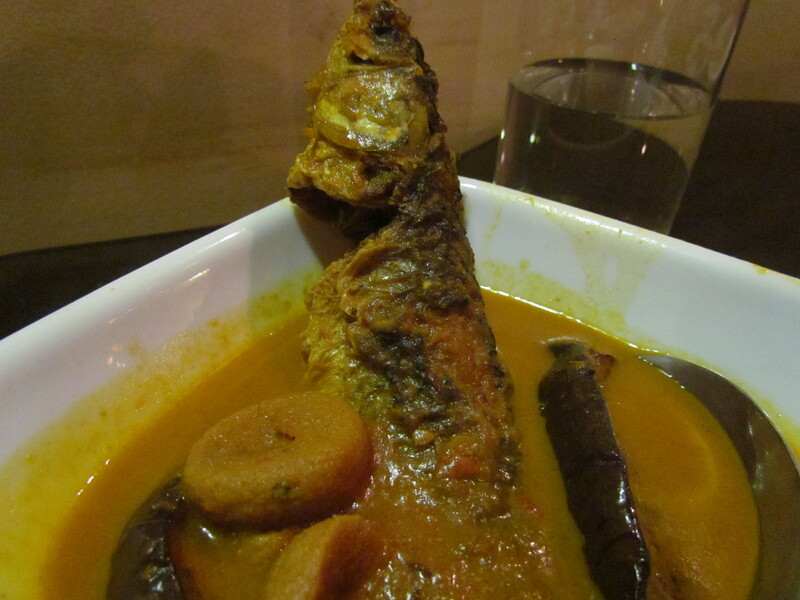 Next dish we ordered was Parshey fish jhol with begoon (aubergines) and bori (wadi in Hindi – dried dollops of lentil paste). For the uninitiated, Jhol means thin gravy. 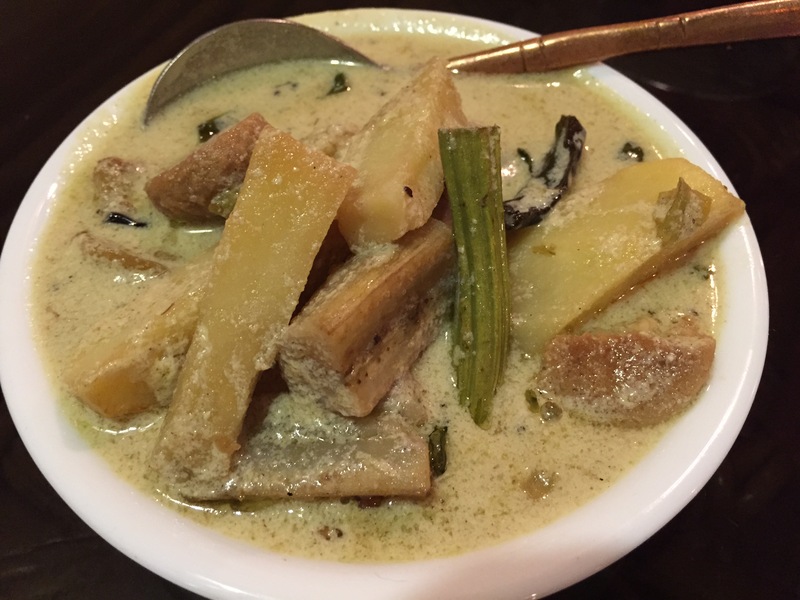 The jhol was excellent to taste. If had a tinge of sour from puréed tomatoes. The fish piece was huge. One plate usually has 2 pieces. They just had 1 piece of fish left in the kitchen stock. So they let us choose 1 piece of another fish, any gravy. 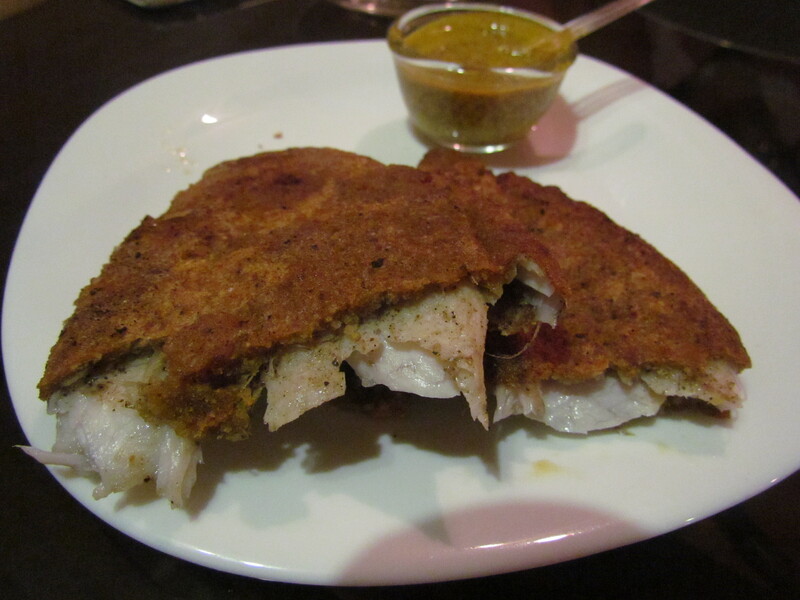 We chose bhetki fish with mustard. The Parshey was deep fried, a tad more than optimal. 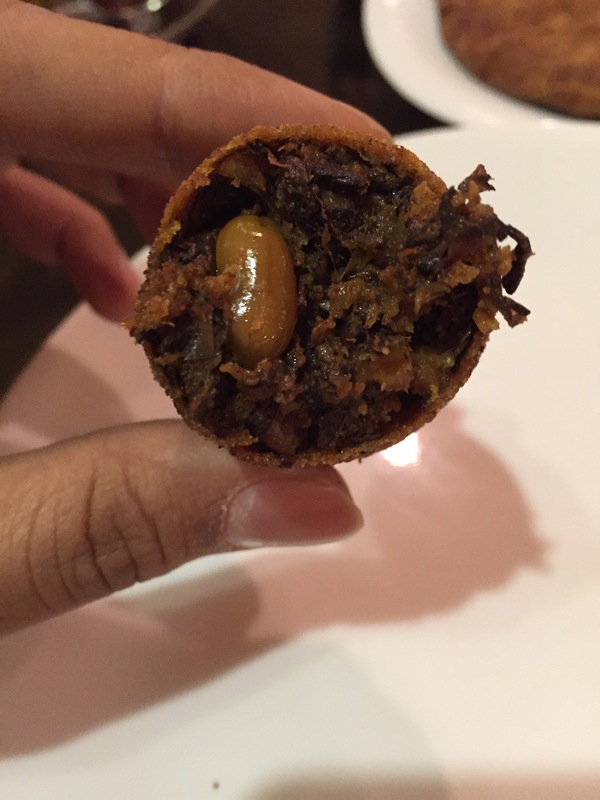 That made its outer layer almost crisp (not the best thing to happen in a jhol always). The inside of the fish was however soft and nice. Bori was a great idea and begoon of course added value. Rate this dish 4/5. 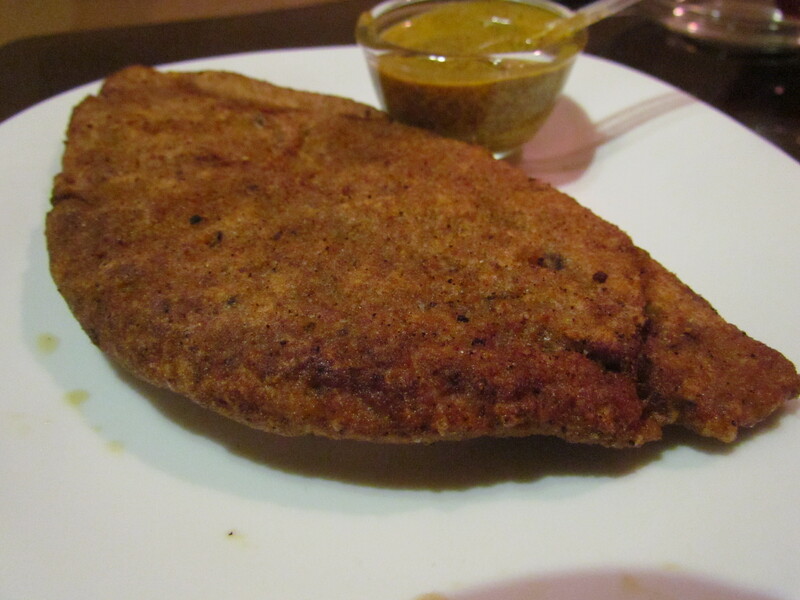 The next dish we had was Bhetki in Mustard. To this gravy they had added curd as base. 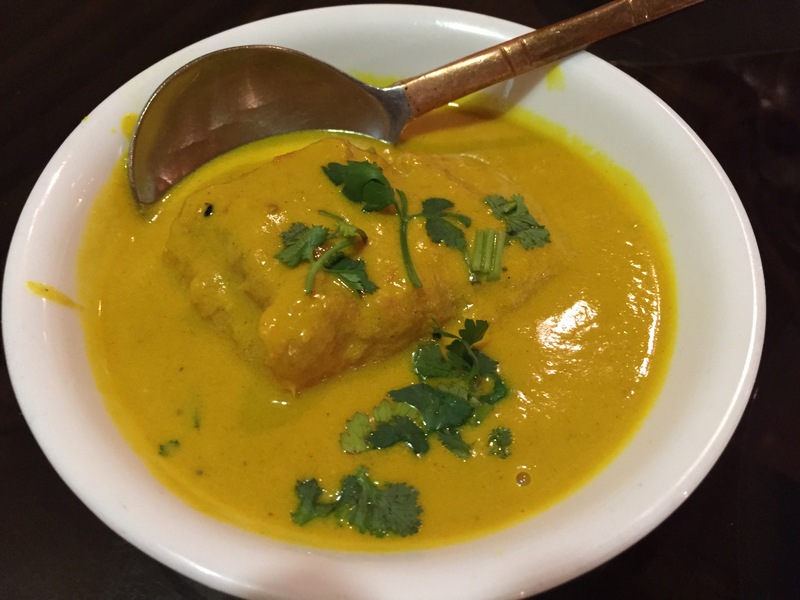 This addition of curd gave a tinge of sourness and took away the pungency of mustard but in turn made the gravy creamy and smooth. 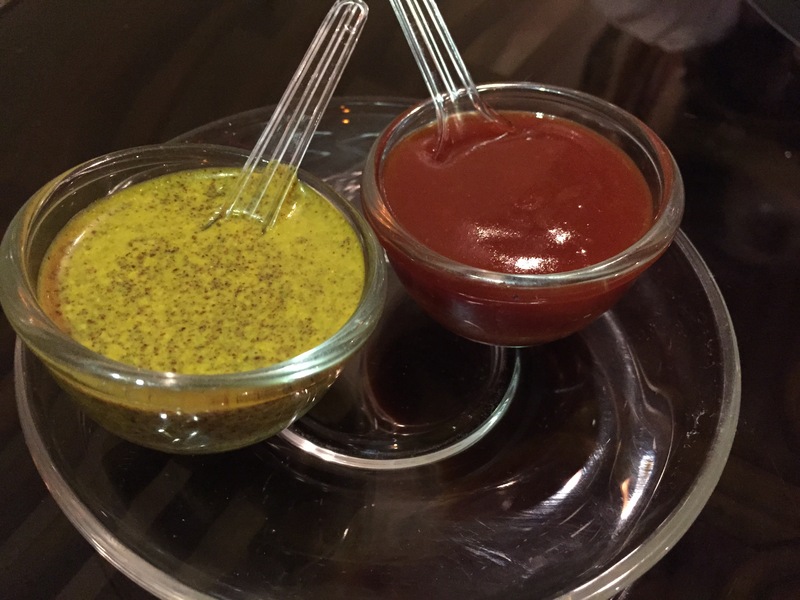 A different take on the traditional super pungent mustard paste gravy. 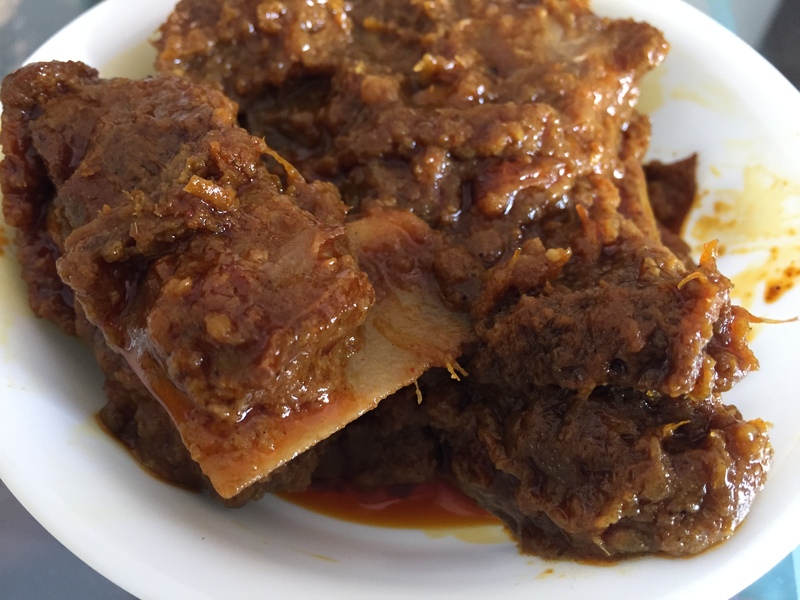 We then moved on to Kochi pathar jhol – Thin gravy made from meat of small goat. That was the promise as described by our server). We asked – is it really small goat? Answer was affirmative. 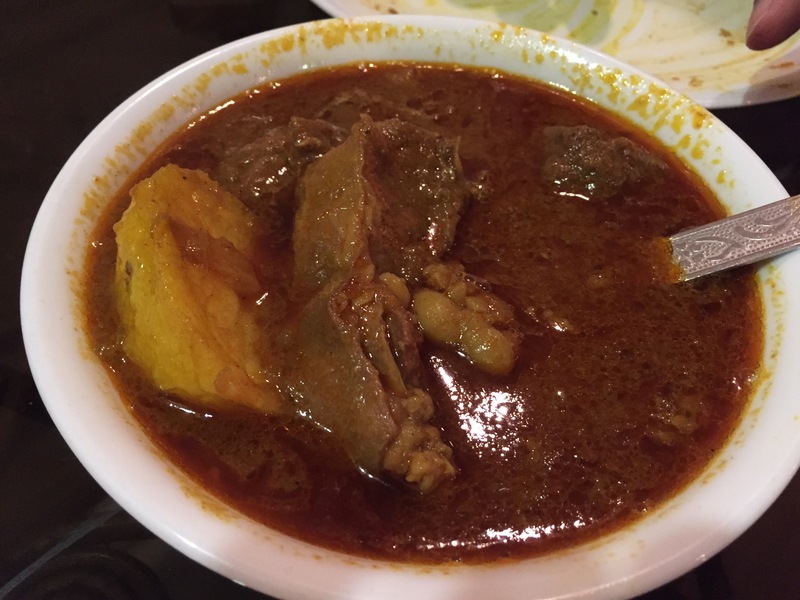 As the dish was served, we cud not figure out the size of goat by seeing the bones in the meat. A bite into the meat was shockingly good – the meat was almost like marshmallows – super soft and just too YUMM. 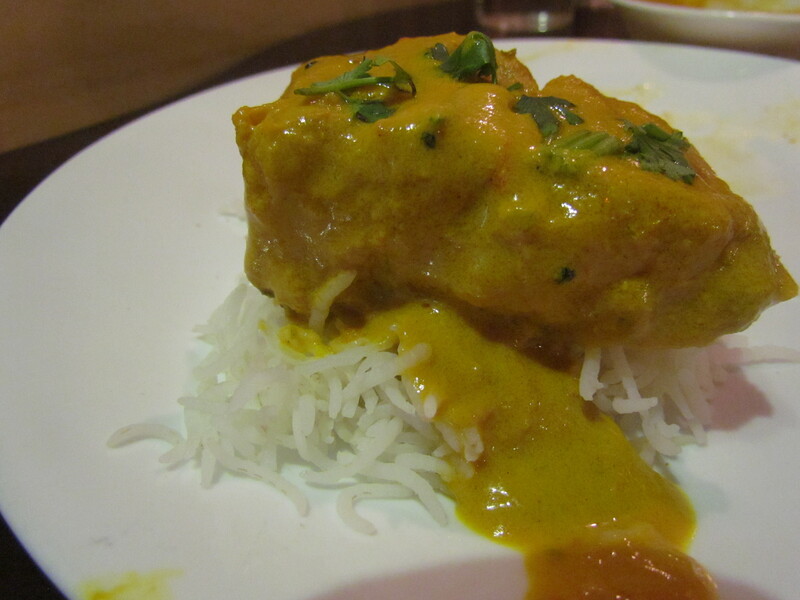 The flavours of meat and spices had intermingled. The strands of the meat were very thin as well, thus indicating good meat from a relatively small goat. Rate the meat 4.75/5. The gravy was thin but excellent. Flavour of mustard oil made its presence felt. Taste was very good. Rate the gravy 4.25/5. 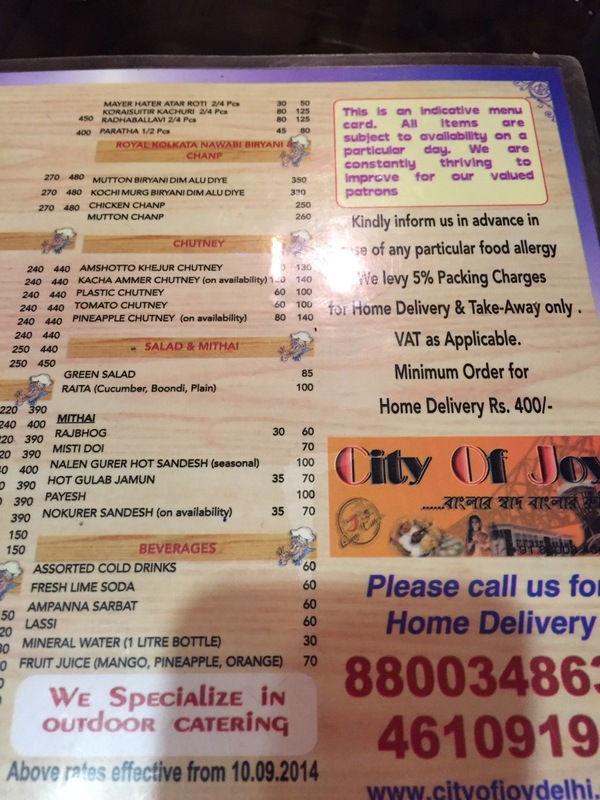 Last item we ordered was raw mango chutney. 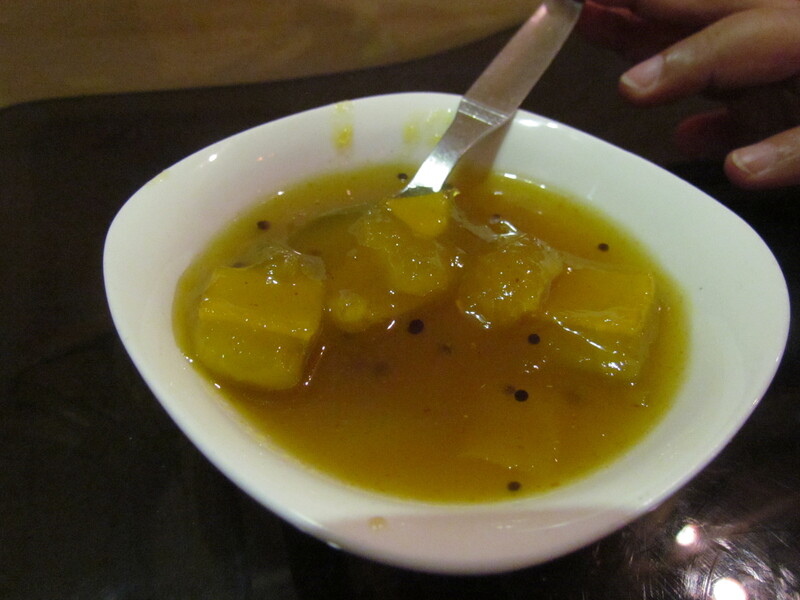 The mango pieces were submerged in lime water and hence the ends had hardened – they cud retain shape. The chutney was YUMM but a bit in the sweeter side. This sweetness I know is loved by most – so the dish gets full marks. Sprinkling of lemon made a huge difference to the chutney – as per my taste. Loved it and rate it 4/5. 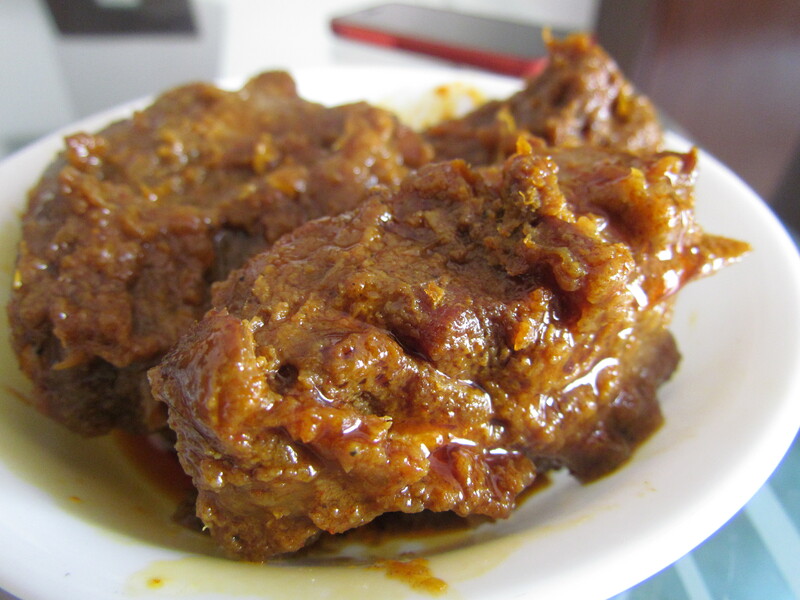 We also got Kosha mangsho packed. 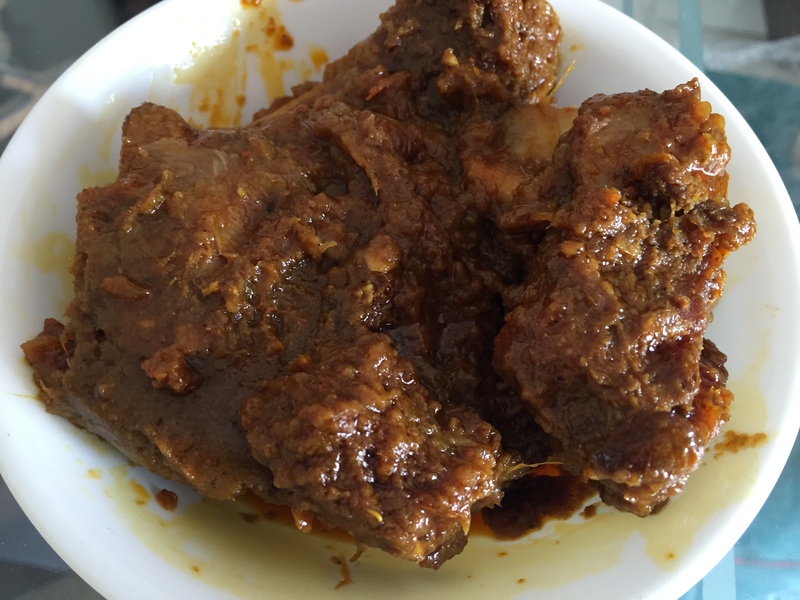 For the uninitiated, Kosha mangsho is mutton slow cooked with spices on slow fire. The meat was awesome. It was super soft, melt in the mouth, falling off from bones. Strands of meat were very thin. The bones indicated that the goat was not oversized. The curry was excellent to taste. 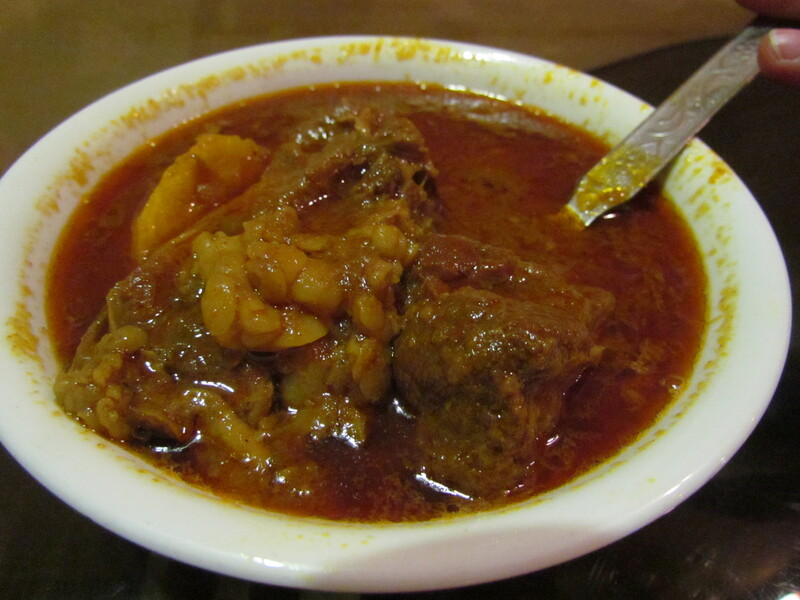 It had flavors of spices interwined with flavors of meat & a mild sweetness from onions. 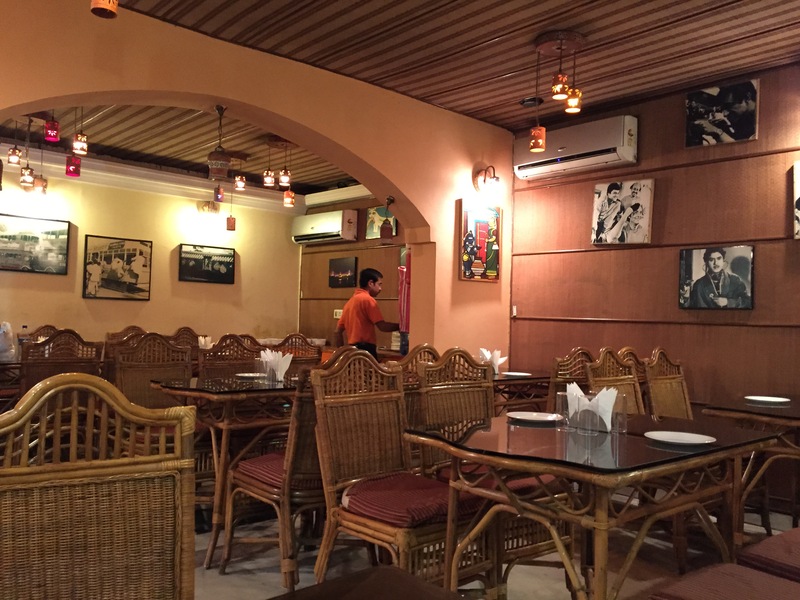 This restaurant is surely a hidden gem & I wud suggest u to try it out. Look forward to hearing ur experience.